Rivalries are just for fans? Don’t tell that to 2018 Pitt commit Tyler Bentley. He is looking forward to the Panthers’ battles with one in-state foe as much as anyone else. Bentley, listed as a three-star recruit by 247sports.com, is a 6-foot-3-inch, 295-pound defensive lineman from West Chester, Ohio. Bentley is known on the field for the power he enforces in his game. 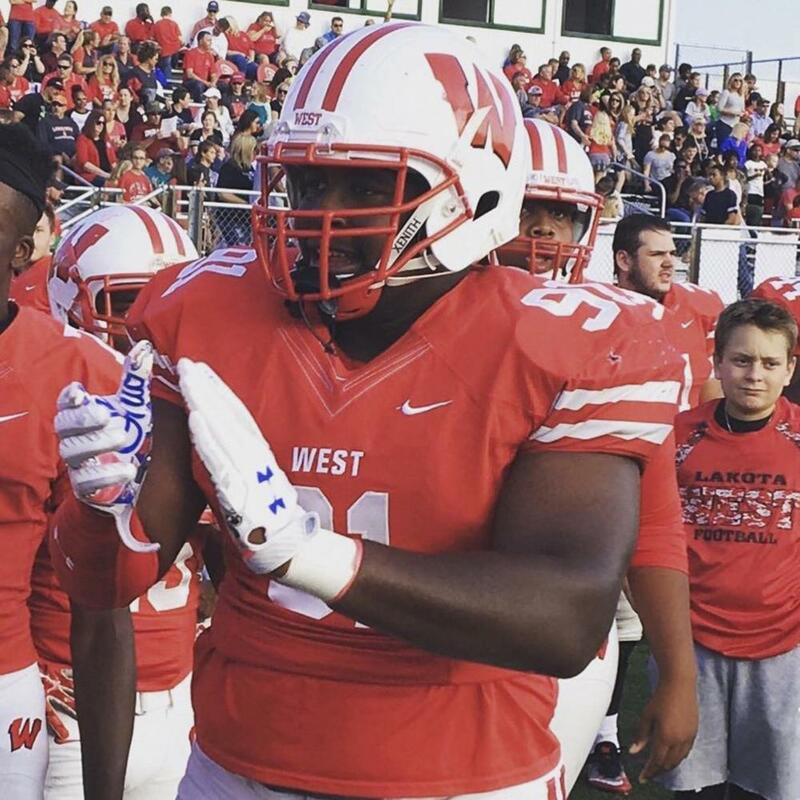 He compiled 60 tackles, a sack and two forced fumbles in his senior year at Lakota West High School, where he was rated as Ohio’s No. 40 overall prospect by 247sports. After originally committing to the University of Kentucky in June 2017, Bentley decommitted a few months later. He then decided to attend the University of Pittsburgh in December 2017, turning down offers from place including Alabama, Florida, LSU, Louisville and West Virginia. Bentley isn’t the only 2018 prospect the Panthers have stolen from Kentucky. Florida wide receiver Shocky Jacques-Louis committed to Kentucky in April and then decommitted in June. Six months later, Jacques-Louis joined Pitt’s recruiting class and has already enrolled at the University for the 2018 spring semester. Bentley is looking forward to developing relationships and connections with people off the field during his time at Pitt. He plans on studying business and logistics. After a 5-7 2017 campaign, Pitt failed to make a bowl game for the first time since 2007. The Panthers face one of the toughest schedules in the country for 2018. Bentley, however, sees major improvements being made in the next four years.